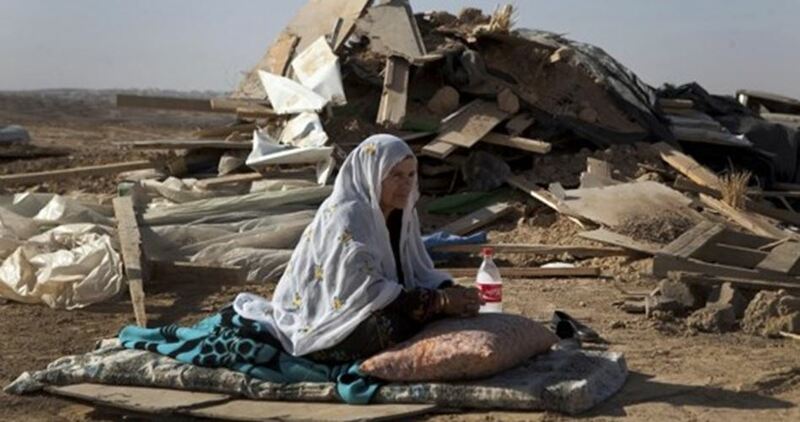 Israeli bulldozers on Wednesday morning demolished the Bedouin village of al-Araqib in the Negev desert in southern Israel for the 122nd time, leaving all the families in the village homeless. According to the PIC reporter, the bulldozers broke into the village early today and started the demolition process after Israeli police closed all entrances leading to the area. Residents of the al-Araqib have rebuilt the village 121 times after each demolition, the latest of which was in November 17th. 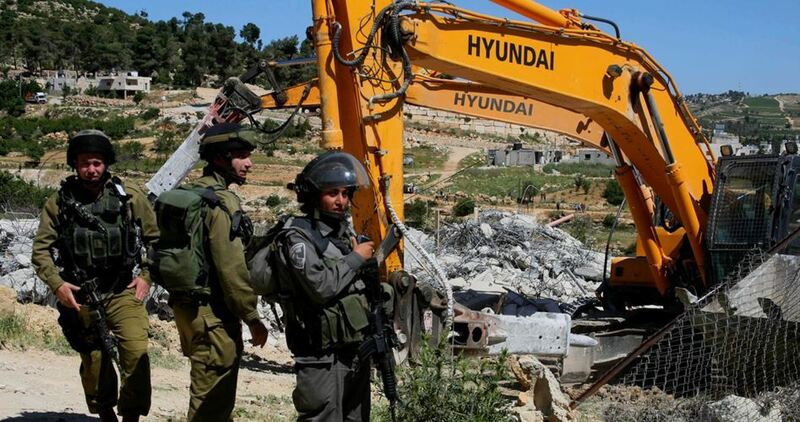 The residents has had to compensate Israel for its routine demolitions in the village. Al-Araqib is one of 45 Bedouin villages considered “unrecognized” by the Israeli authorities. Israeli soldiers closed, Wednesday, the western road of Ya’bad town, and several minor roads, southwest of Jenin, invaded and ransacked homes, and confiscated surveillance equipment. Media sources in Jenin said Israeli army bulldozers placed rocks and sand hills at the western entrance of Ya’bad town, and roads leading to the homes of Abdullah Khatib and Nasser Abu Bakr. The sources added that the soldiers invaded and violently searched many homes, including the use of k9 units, and confiscated surveillance recordings and equipment from the home of Yahia Abu Shamla. On Tuesday at night, the soldiers closed the gate leading to Um ar-Reehan area, in Ya’bad town, in addition closing Barta’a and Dothan military roadblocks. Israeli Occupation Forces (IOF) on Tuesday handed 13 Palestinians home-demolition orders in Sinneirya town, south of the West Bank city of Qalqilya. Sources of the town’s council said that the demolition notices were issued at the pretext of lacking construction permits or because of not abiding by the construction schemes. The council of the town called on the owners of the homes threatened with demolition to refer to the council in order to discuss the required steps to prevent the destruction of their houses. The demolition orders will be submitted to the mayor of Qalqilya in order to follow up the matter, the council pointed out. 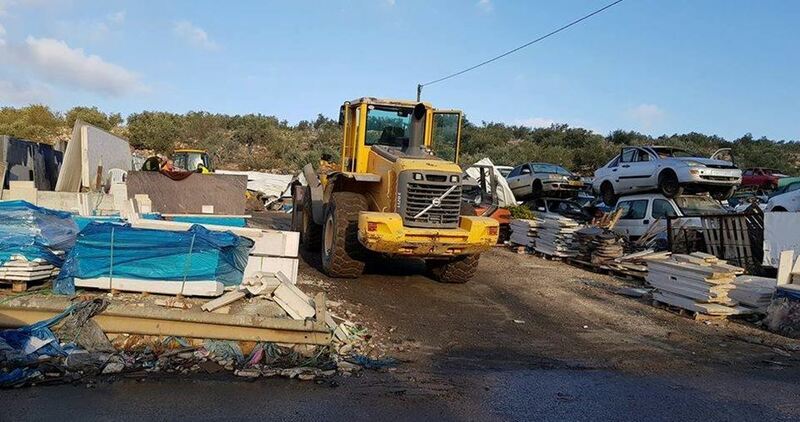 Israeli bulldozers razed on Tuesday morning a number of Palestinian facilities under construction in Shufat refugee camp to the northeast of Occupied Jerusalem at the pretext of lacking construction permit. The spokesman of Fatah Movement in Shufat refugee camp, Thaer Fasfous, said that Israeli forces, in large numbers and escorted by four bulldozers, raided the refugee camp in the early morning, besieged an under-construction building and started knocking it down, according to Quds Press. He added that the forces banned everybody from accessing the site during the demolition process, which is “apparently going to affect several buildings in the refugee camp”, he said. Local sources revealed that a surveillance blimp was seen in the sky during the demolition. The razed structure belonged to the Jerusalemite Esam Ali, the sources pointed out. 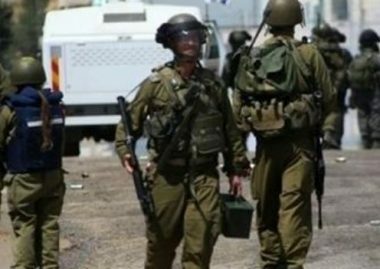 Israeli soldiers abducted, earlier Tuesday, one Palestinian near the northern West Bank city of Jenin, and two others from the southern West Bank governorate of Hebron. 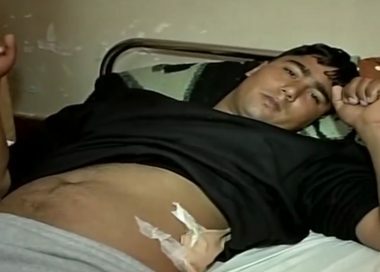 On Monday evening, the soldiers shot and injured a Palestinian driver near Hebron. Media sources in Jenin said the soldiers invaded Jilqamous village, east of Jenin, and abducted Motea’ Jamil al-Hajj, after storming his home and violently searching it. Furthermore, the soldiers installed a roadblock on the Jenin-Nablus road, before stopping and searching dozens of cars, and interrogated many Palestinians while inspecting their ID cards. The army also installed a military roadblock, near the central West Bank city of Ramallah, and abducted Ahmad Yousef al-Hroub, 22, from Deir Samit town, southwest of Hebron. 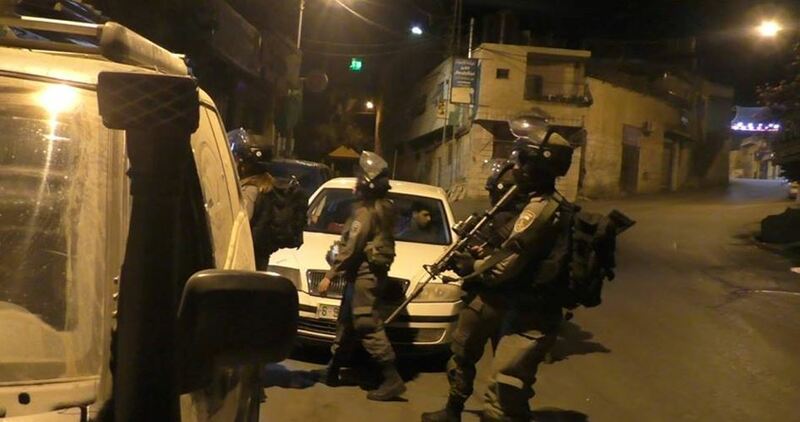 In related news, the soldiers invaded Yatta town, south of Hebron, searched homes and abducted Haitham Jamil Awad, 28. In addition, the soldiers invaded Beit Ummar town, north of Hebron, broke into and ransacked the homes of two former political prisoners, identified as Jalal Ahmad Breigheeth, and Jalal Qassem ae-Ra’ey. The army also installed roadblocks on main roads leading to many towns, villages and refugee camps, in Hebron governorate, before stopping and searching dozens of cars, and interrogated many residents while inspecting their ID cards. 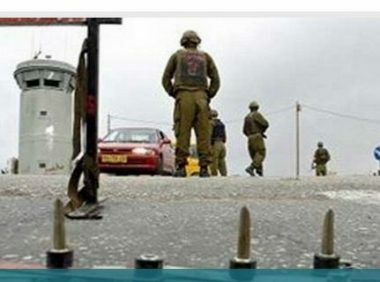 On Monday evening, the soldiers shot and injured a Palestinian man after opening fire at his car on the road between al-Karmel and Ma’on villages, in Masafer Yatta area, south of Hebron. It remains unknown why the soldiers targeted the Palestinian car; the soldiers conducted searches in surrounding farmlands and areas, but were unable to locate him. The soldiers then closed all minor, and unpaved roads in the area, after surrounding it. Furthermore, the soldiers abducted, overnight until dawn hours Tuesday, seven Palestinians, including five children and one woman, from their homes, in several parts of occupied East Jerusalem. On Tuesday morning, the soldiers, accompanied by a military bulldozers, invaded Shu’fat refugee camp, northeast of Jerusalem, raising fears among the Palestinians of possible demolitions. A number of Palestinians were kidnapped by the Israeli occupation forces (IOF) at daybreak Sunday in abduction sweeps rocking the West Bank. 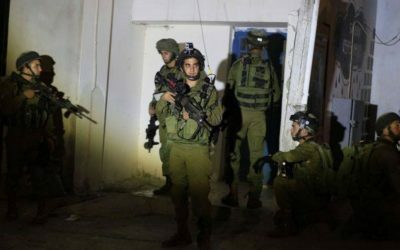 The Israeli army claimed responsibility for the abduction of five Palestinians at predawn time on allegations of involvement in anti-occupation activities. The occupation soldiers also seized thousands of shekels in assaults on West Bank provinces. Three Palestinian cars were also seized by Israel’s military troops in Qalqilya on claims that they have been used in resistance activities. At the same time, the IOF stormed Qalqilya’s eastern town of Azzoun at the crack of dawn and took pictures of Palestinian homes and commercial facilities. On Saturday evening, Palestinian university student Mo’men Mesek, the son of the slain Palestinian protester Raed Mesek, along with another Palestinian civilian, were kidnapped by the Israeli forces during assaults on the West Bank and Occupied Jerusalem. 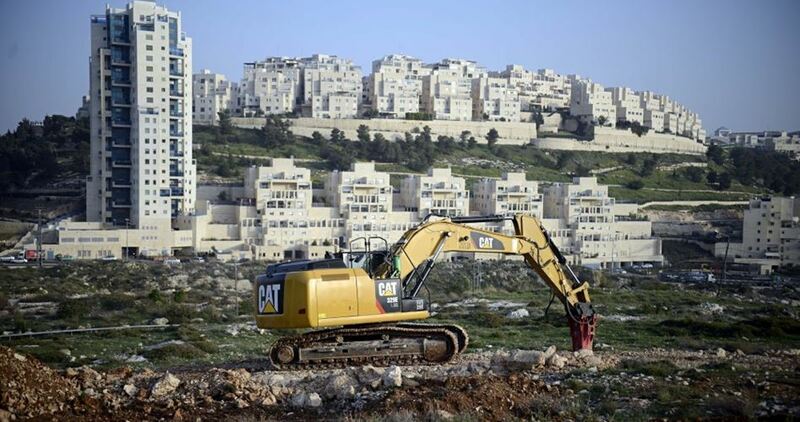 Israeli Occupation Authorities (IOA) on Friday started the construction of 150 out of 900 settlement units in Avni Hafetz settlement outpost east of Tulkarem city in the northern West Bank. Eyewitnesses told the PIC reporter that the construction site is located within Palestinian agricultural lands of Shofeh town southeast of Nablus city. The IOA handed, at a previous time, land confiscation orders to Palestinian farmers in Shofeh town for the expansion of Avni Hafetz. The seizure order stipulates the confiscation of land lots including a part of Khalet al-Sheikh, Wadi Issa and al-Manzel areas. Israeli Occupation Forces (IOF) on Friday morning handed over demolition and eviction notices in Abu al-Basal hamlet west of Salfit city in the northern West Bank. The demolition orders were issued at the pretext of violating construction standards. The PIC reporter said that the orders stipulate the eviction and demolition of several structures in the hamlet which is located close to Ariel settlement which was illegally established over Salfit lands. According to the activist Khaled Maali, the hamlet was inhabited with many families of farmers and shepherds who were forced to leave their lands because of settlement expansion in the area. As a result, only one family remained in the small village. Nevertheless, they are now forced to leave their homes to be razed by the IOF. 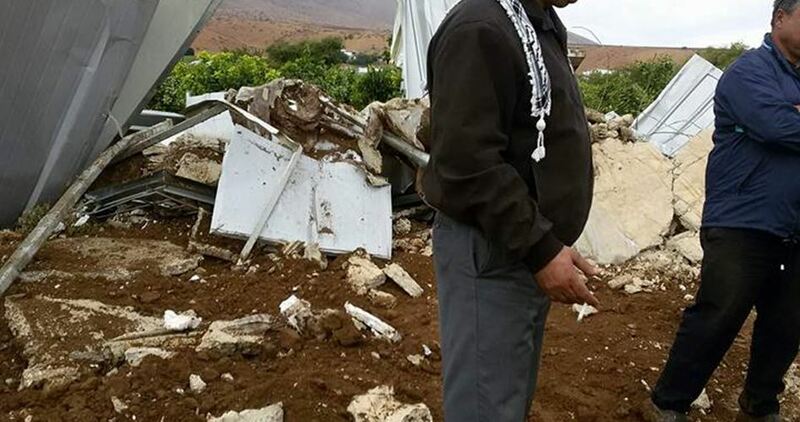 The Israeli occupation army at dawn Friday demolished a house belonging to the family of Palestinian prisoner Mohamed Abul-Rab in Qabatiya town, south of Jenin in the West Bank, as a punitive measure for its son’s killing of an Israeli settler last October. Local sources told the Palestinian Information Center (PIC) that a large number of Israeli soldiers aboard military vehicles and one bulldozer entered the neghibhrood where the house of the prisoner’s father is located and cordoned off the area. They added that some soldiers were deployed on rooftops of nearby homes before the bulldozers embarked on knocking down the house. Consequently, some young men tried to obstruct the demolition of the house and hurled stones at the soldiers, who responded by firing tear gas and rubber bullets. Several young men and citizens inside homes suffered from inhaling tear gas during the events and one sustained a rubber bullet injury. Meanwhile, the Israeli military force stormed nearby homes and assaulted its residents during its presence in the neighborhood. Ziyad Abul-Rab, Mohamad’s father, said the Israeli military authorities had informed his son’s lawyer that the family must leave their home prior to its demolition. The father said, prior to this notification the high Israeli court rejected a plea submitted by the lawyer against the intended demolition. His son was convicted by an Israeli court of murdering an Israeli settler in the Arab town of Kafr Qasem, in central Israel, in early October. 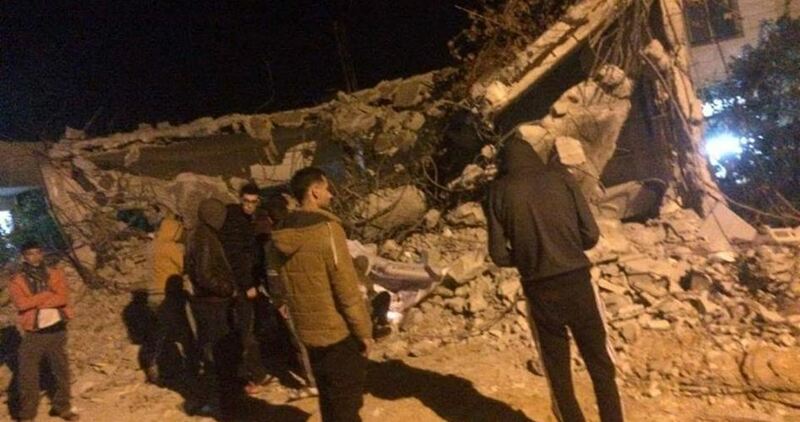 Israeli soldiers invaded, on Friday at dawn, the town of Qabatia, south of the northern West bank city of Jenin, and demolished a home, in addition to causing many Palestinians, including an infant and an elderly woman, in addition to detaining two young men. 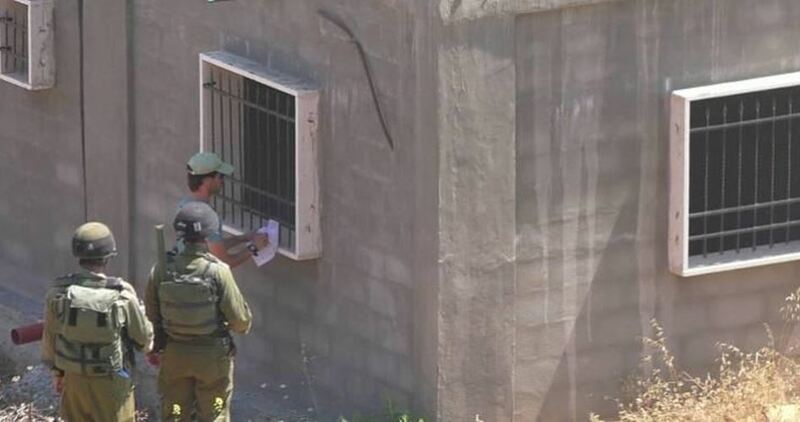 Deputy Governor of Jenin, Kamal Abu ar-Rob, said dozens of soldiers invaded Qabatia, before breaking into the family home of detainee Mohammad Ziad Abu ar-Rob, and forced the family out before demolishing the property. The demolition is an act of collective punishment by the Israeli government against the family of Mohammed, who is currently in Israeli prison charged with killing an Israeli man, identified as Reuven Schmerling, 69, this past October, in Kafr Qassem, where he and another detained Palestinians worked. The family filed appeals against the demolition of their property, but the Israeli Supreme Court rejected the appeals, allowing the army to proceed with the demolition. The demolished home was 140 square/meters, where Mohammad’s parent and five siblings resided. The soldiers invaded the property and forced them out before leveling it. The family was only informed of the date for demolishing their property just one day before the army leveled it. Following the invasion and home demolition, some Palestinian youngsters hurled stones at the army, while the soldiers fired many live rounds, rubber-coated steel bullets and gas bombs. The Red Crescent Society said scores of Palestinians, including an infant identified as Badr Naji Abu Zeid, and an elderly woman, Sabeeha Ragheb Abu Zeid, were among many Palestinians who suffered the effects of teargas inhalation. It added that a young man, identified as Ahmad Arafat Hanaisha, 25, was shot with a rubber-coated steel bullet in his back, and was moved to Khalil Suleiman governmental hospital. The soldiers also detained Saleh Amjad Loubani and Qussai Mohammad Kamil, and held them at the Salem military base, before releasing them in the morning. An Israeli committee proposed the establishment of a new settlement outpost by annexing four settlement neighborhoods near Qalqilya city in the northern West Bank. 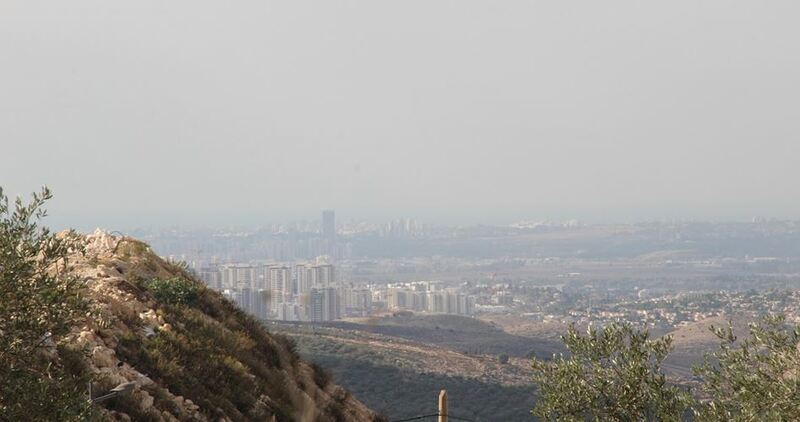 A Hebrew website reported that the proposal stipulates connecting four settlements: Oranit, Alkana, Shir Tikvah, and Ets Ephraim and turning them into a settlement city for 22,000 settlers. The recommendation that was published on Wednesday after being submitted to Israeli interior ministry also provides for seizing the Palestinian lands located between those four settlements. Israeli forces installed, on Tuesday, six caravans at a military outpost in Hebron city, in the southern occupied West Bank, according to local sources. Locals told WAFA that the Israeli army installed the six caravans on an area overlooking the Old City neighborhood of Hebron, which means that one and a half dunams of land were expropriated by the Israeli military. Israel has stepped up the confiscation of privately-owned Palestinian land for illegal settlements since it passed the so-called “Legalization Law”, earlier this year. The law, also known as the Regularization or Formalization law, would see thousands of dunams of privately owned Palestinian land seized, and dozens of illegal settlement outposts across the West Bank retroactively recognized by the Israeli government.